The top 10 things to do in San Francisco include riding our historic cable cars, watching award-winning musicals, and admiring our historic Victorians. You can also spend time at the California Academy of Sciences or sip tasty local wines. Read on for details on my top 10 and also a few other ideas for you to consider for your visit. 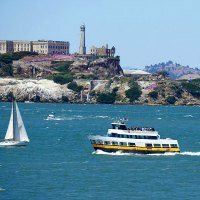 Taking a cruise on the bay is a must among the top 10 things to do in San Francisco. You get to appreciate the natural beauty of the Bay Area while viewing the city skyline and SF's stunning bridges from a different angle. This is a great opportunity to snap photos of the Golden Gate Bridge from beneath, and Alcatraz Island from up close. You have several different cruise options to choose from, some offering a champagne brunch, others a beautiful sunset. Follow the links below for more details and ticketing information. If you ask anyone who's ever visited to name their top 10 things to do in San Francisco, I'm sure a tour of Alcatraz would be on it. This notorious island-prison has been featured in numerous movies, and earned a reputation for housing the country's worst criminals while it was in operation. 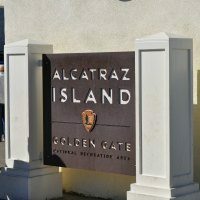 Make sure to book your tickets in advance so you can ferry over to "The Rock" and learn about Al Capone and other former prisoners, as well as the interesting history of escape attempts. You can visit either during the day or at night. 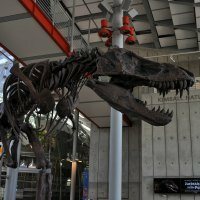 Another favorite activity in San Francisco is enjoying the incredible exhibits at the California Academy of Sciences, where you'll be greeted by the skeleton of a huge T-Rex and a live rare white alligator. When you visit this popular museum in Golden Gate Park, you are actually visiting four museums in one: a planetarium, aquarium, living rainforest, and natural history museum. Each section is very well done with stunning and interactive displays. This is a great place to take the family, as well as a fun and unique environment to enjoy after-hours cocktails on Thursday nights. 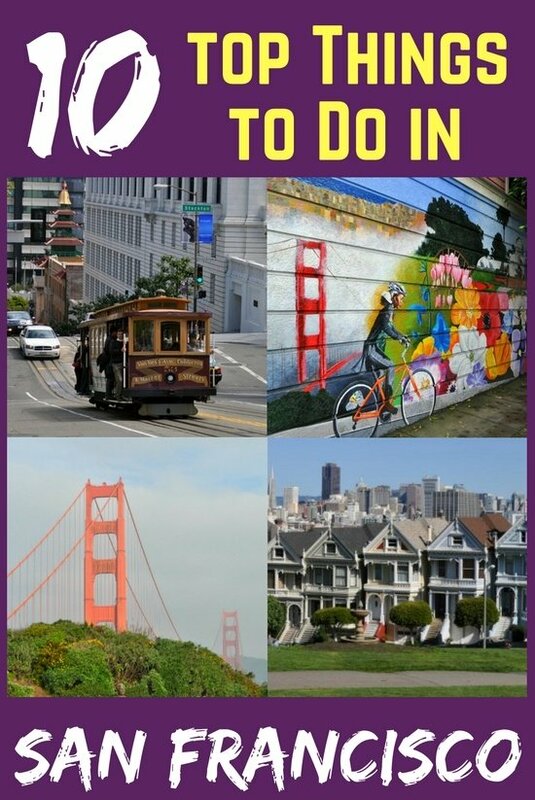 This is another one of the obvious top 10 things to do in San Francisco. The iconic red cable cars have been traveling up and down SF's hilly streets since 1873, with their bells ringing and passengers hanging onto the side rails. A classic tourist experience, these cars still serve as transportation for locals as well, a slower but more enjoyable form of transportation. 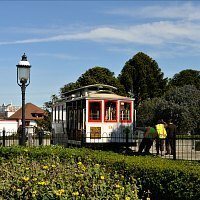 You might also enjoy SF's Railway Museum and vintage street cars, which run on tracks similar to the cable cars. Discover their history as well as information about routes and where to hop on. 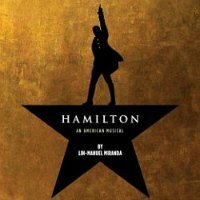 Did you know that San Francisco is the perfect place to see a quality Broadway musical production? Many Tony Award-winning shows come here straight from New York, while others get their start here and then go on to become worldwide hits. Throughout the year, you can pick from classics like The King and I and Rent, to the latest successes like Hamilton and Finding Neverland. You can choose from many more theater productions--dramas, comedies, and independent pieces--at various venues in SF, but these large musicals specifically play at the incredibly beautiful large historic theaters in town. Make sure to check out the great deals on Goldstar before booking any tours or activities. They offer discounts at up to 50% off for so many fun things to do. Here is just a sample of what they are currently offering. You cannot come to San Francisco without tasting the fabulous local wines from nearby Napa Valley and Sonoma County. These regions are known all over the world, and they are only about an hour's drive north of SF. 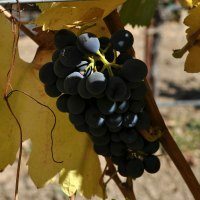 Of course, if you don't have time for a day trip to the beautiful rolling hills of wine country, there are plenty of places to taste these wines within the city. Click the links below for a list of my top 10 SF tasting rooms, top 10 SF wine bars, and other large wine events. Another one of the top 10 things to do in San Francisco is attend a home game of one of our beloved local sports teams. The only team that plays within the city is the SF Giants baseball team, whose gorgeous Oracle Park (formerly AT&T Park) sits right next to the Bay Bridge. The popular Golden State Warriors basketball team plays just across the bay at the Oracle Arena in Oakland. Both teams have won national championships within the last few years, and are hugely celebrated by their Bay Area fans. In addition, you'll find 49ers football, Sharks hockey, and more sports events spread out around the region. Click below to find out more. One of the best parts about walking around in San Francisco is being constantly surrounded by beautiful and colorful artwork. There are over 1,000 murals throughout the city, painted in alleyways, on the sidewalks, and on the sides of huge buildings. 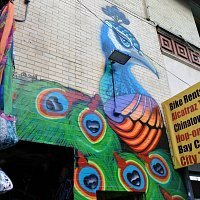 You'll find an impressive collection especially in the Mission district, where the eclectic Latin vibe is flavorful and inspiring. You'll also find famous Diego Rivera frescos in three different public buildings spread throughout the city, and other great indoor murals at Coit Tower, the Beach Chalet, and more locations. Walking across the Golden Gate Bridge is another must do on the list of top 10 things to do in San Francisco. The longest suspension bridge in the world for much of the 20th century, Goldie is a true architectural feat and the SF icon to visit, admire, and photograph. From the 1.7-mile walkway (which you could also bike), you'll get great views of the bay and city on a clear day, or an impressive perspective of towering orange steel rising out of the fog, if you happen to visit on a cooler day. Either way, it is well worth the trip. Find out more about how to get there as well as tour options. The view of the spectacular Seven Sisters all lined up in front of the city skyline is such a classic SF image. 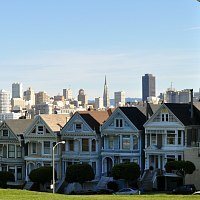 I'm not talking about human sisters, but rather a specific collection of historic, ornate, pastel-colored Victorian homes--also known as Painted Ladies--that you'll find lining the eastern side of Alamo Square Park in this central SF district. The lawn of the park is the perfect place to have a picnic, people watch, and snap your coveted photo of the "Full House" scene. 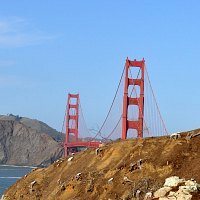 In addition to the top 10 things to do in San Francisco, you will also find some fun events every month. Click the links below for a current calendar of events for each month of the year. The CityPass Discount Card is another great way to save during your visit. It includes admission to the California Academy of Sciences, Aquarium of the Bay, and the Exploratorium. You will also receive a ticket to a 60-minute bay cruise and a 7-day public transit pass. All of these tickets are included with the purchase of the CityPass, which allows you to save more than 40% vs buying them separately.